School is important for cognitive, creative and social development of children. So is the School Sanitation and Hygiene Education, necessary for the safe, secure and healthy environment for children to learn better and face the challenges of future life. There were no adequate facilities to meet these expectations in the project schools. On the other hand, construction of toilets in schools is easy but making them functional and usable always needs the change of mind set and behaviours of the large group of children and commitment of the school teachers. 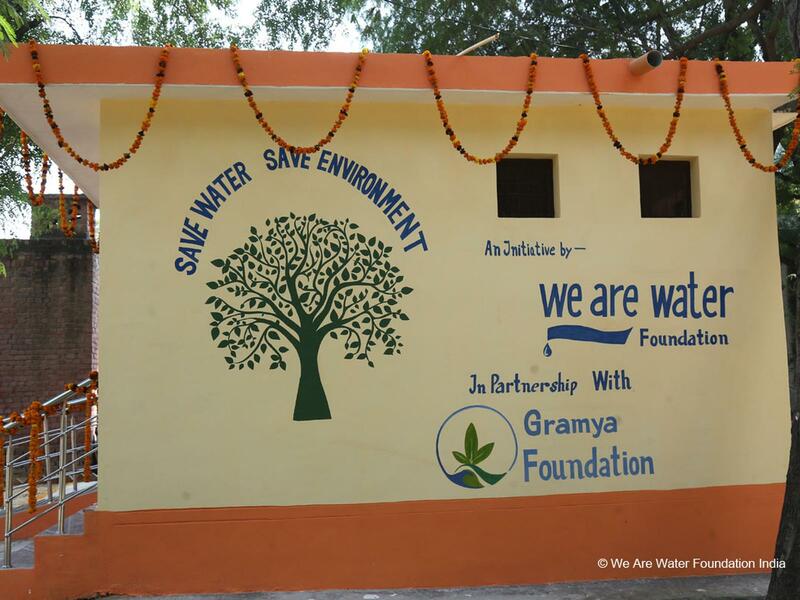 To provide water and sanitation facilities in the schools so that the children from their early childhood can use the facilities and develop consistent habits of using such facilities. To promote the usage of toilets/urinals among school students, hand washing at right times (before and after eating and after using toilet), and sharing tasks i.e. collecting water and cleaning toilet by boys & girls equally. To promote behavioral change by health hygiene education & linking the same to home & community. 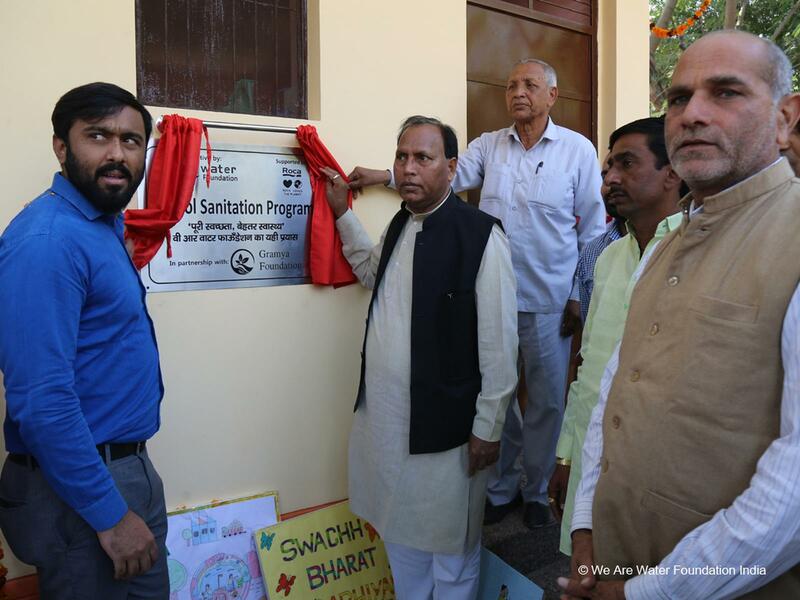 Beyond the construction of school facilities, the initiative aims to raise awareness among students and teachers about the need for better hygiene and sanitation facilities for all sectors of society throughout the country. For this the project includes the distribution of bathroom accessories to schools that serve 1,500 public school children. To develop a system within the schools so that the facilities once created are maintained by the schools without any external support. Protection of privacy and safeguarding of the dignity, especially for the girl child in school. 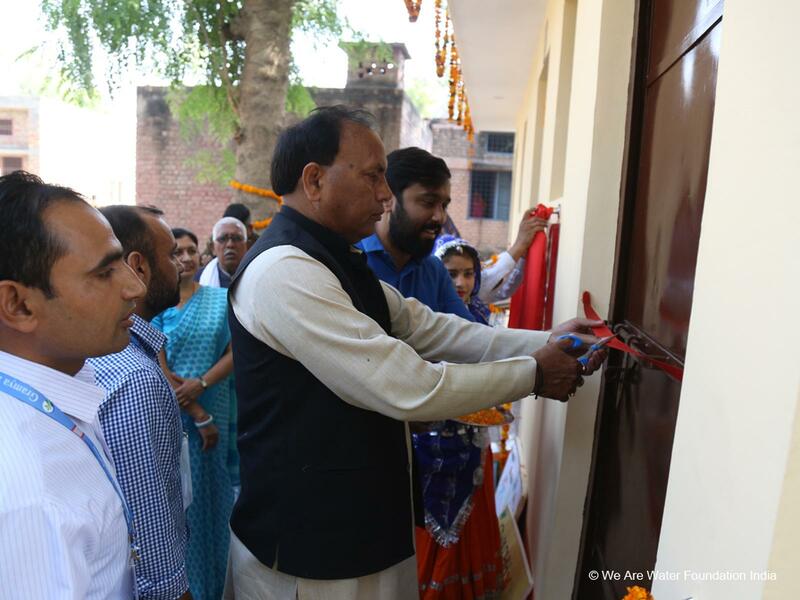 A toilet was built in two schools in Rewari, Haryana and three more schools were renovated in Alwar, Rajasthan under the title "School sanitation project”. The project included the distribution of bathroom accessories to schools that serve 1,500 public school children. The behaviour change training forms a crucial part of the entire project as it creates a sense of awareness towards proper sanitation facilities among the community and also exhorts students to take an ownership in maintenance of the sanitation units. The project extends its reach not just to the community, students and teachers but also to other stakeholders like SDMC members (School Development and Monitoring Committee), Education Department and Local Gram Panchayat. While the former takes part in ensuring that units are maintained properly, the latter are involved in monitoring through audits and providing support to the community in availing benefits of government schemes.